It always seems like there is an added pressure to do something over-the-top romantic for Valentine’s Day. Getting caught up in the expectations can make you lose sight of the meaning behind the holiday — celebrating your love for each other. 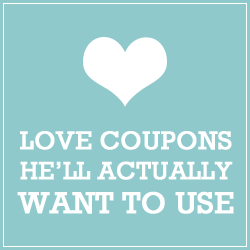 You don’t have to buy extravagant presents or create outrageous dates. However, taking some time to do something a little out-of-the-ordinary is completely fitting. This year, use Valentine’s Day as a way to try something that’s a bit different, but is still perfect for the both of you. To help get you inspired, here are ten fun and slightly different date ideas perfect for a Valentine’s Day celebration. Give a new spin on the traditional gift of candy for Valentine’s Day with a tour of a local candy or chocolate company. If candy’s not your thing, consider other options such as a bakery, cheese or wine-making tour. While a little public in venue, a tour date can be a fun break from the norm. Many places also provide a cafe and gift shop to help round out the entire date. A fun twist on your classic dinner date is to plan a progressive dinner. Start at your favorite place for appetizers and then make your way to all your favorite locations for each course of the meal. Not all courses need to be at a restaurant, either. You can plan ahead and pick up your favorite bakery items for dessert and close the evening at your favorite romantic nighttime spot. With a little planning, this can be a really fun date night perfect for special occasions that can be completely customized depending on your needs. If you’re looking for something a little more intimate for your Valentine’s Day, this steamy idea may be perfect. Invest in a few “waterproof” fun toys or props, grab your favorite body scrubs and bubble baths and enjoy some private and playful one-on-one time with your partner. Adventurous types can get their adrenaline pumping with a fun and active date night of airsoft, paintball or laser tag. Choose your venue of choice and prepare for a battle. Nothing gets your heart racing quite like these activities. Afterwards, kiss and make up and then spend some more quiet time with a bath or shower for two! This can be really great get out of the house date night that’s a bit different from the dinner and movie norm. Even if you’re not big on gambling, most casinos offer plenty of other activities such as restaurants, buffets, live entertainment and dancing to keep you busy. Since this will be a special occasion, go all out and dress up for a night of pure fun. Set aside some money to play the slots together and as an added bonus, you can give whoever wins the most during the night a “special reward” later. If you’re not afraid of heights and you really need to get away from it all, try a hot air balloon date! Most hot air balloon companies offer a variety of packages, from timed sunrise and sunset trips to special proposal packages. If you’re looking for something a little low-key and more private than your traditional Valentine’s Day date, why not try a car picnic? You can either create your own picnic fare or pick up your favorite “easy to eat” take-out. Pick out a scenic spot where you can park and enjoy the view. For added entertainment, you can download or rent a movie to play on your phone, iPad or portable DVD player. Make sure to bring some pillows and blankets and hop in the back seat for an old-fashioned makeout session! While this is more of a public date, this is a great option for new couples or couples that want to develop a new hobby or interest. To find a cooking class in your area look online, at your local community college or try contacting local restaurants to see if they offer any classes. If you have a favorite restaurant, consider contacting them about offering you a private cooking class just for two. You can extend the experience by setting up a new date to actual lyprepare what you’ve learned together. The bookstore date is a simple, cheap perfect spur-of-the-moment date idea. You can tailor the experience based on each other’s interests and since so many bookstores have cafes built in, you can end the evening with a nice dessert and coffee. Some fun bookstore date games include who can find it first, most interesting fact, funniest book title, funniest book cover, etc. The hotel date is a classic special occasion date, and while it may be traditional, it’s still an awesome idea. Make sure your special night has all the extra romantic flair with rose petals, champagne, massage oils and room service. Ask about any romance packages they have for Valentine’s Day and save time while the hotel staff does the work for you. If you’re staying at a hotel with a pool or hot tub, make sure to pack your swimwear to make the most of the facilities. Kiss & Tell! What are your plans for Valentine’s Day? Share your thoughts below!